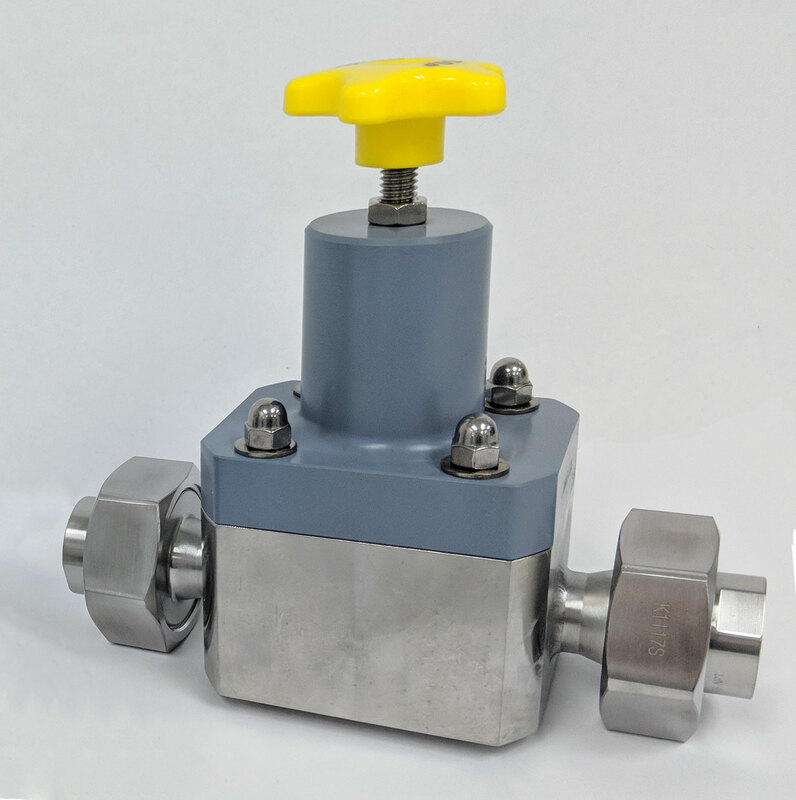 The Top Valve line of diaphragm style Back Pressure and Pressure Relief valves was designed to ensure accurate pumping and protect your pipeline. 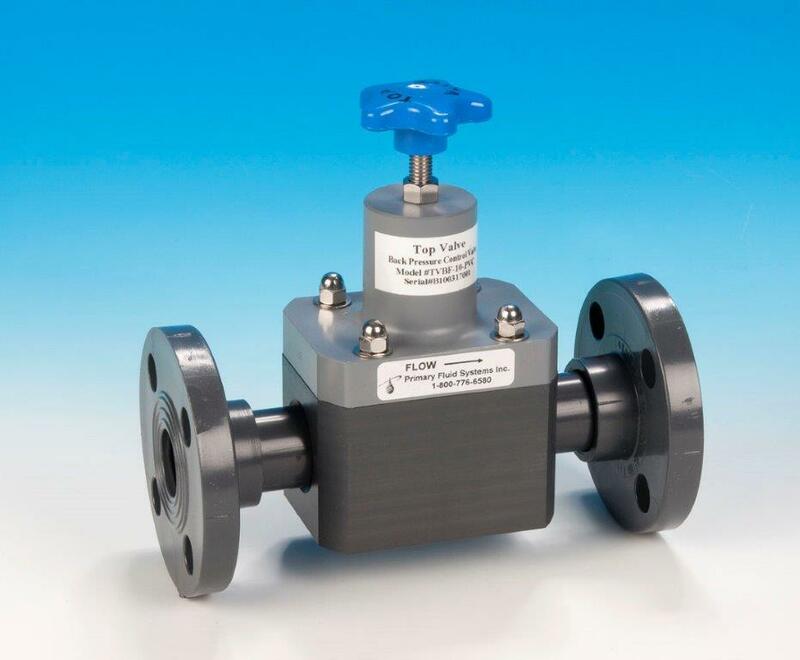 Available in sizes 1/4" through 2"
CRN certification available on a variety of valves. Please contact us for price and availability. 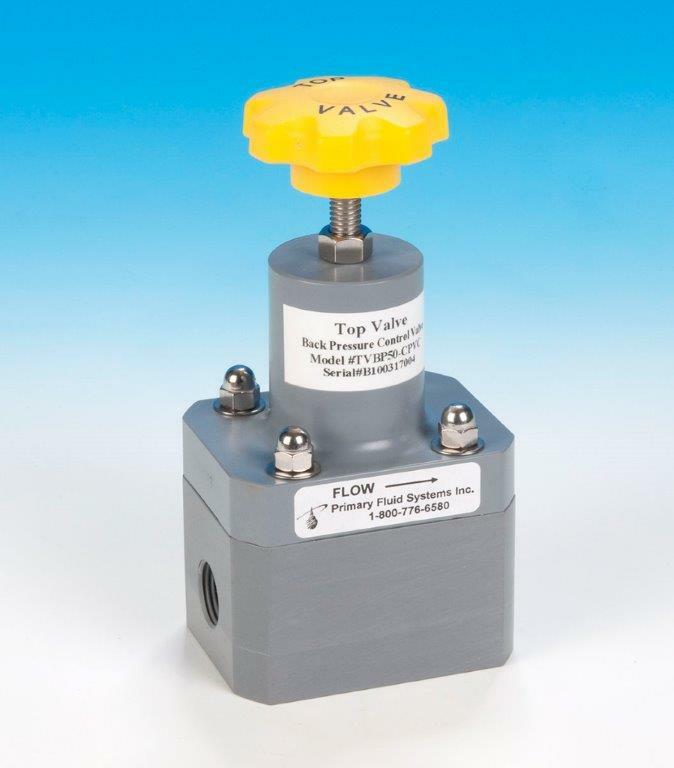 Our Flanged Top Valves in Plastic incorporate 150# socket-welded flanges on PVC and CPVC valves, and threaded 150# companion flanges on polypropylene, PVDF, and PTFE valves. Flanges sizes from 1/4" to 2" available. 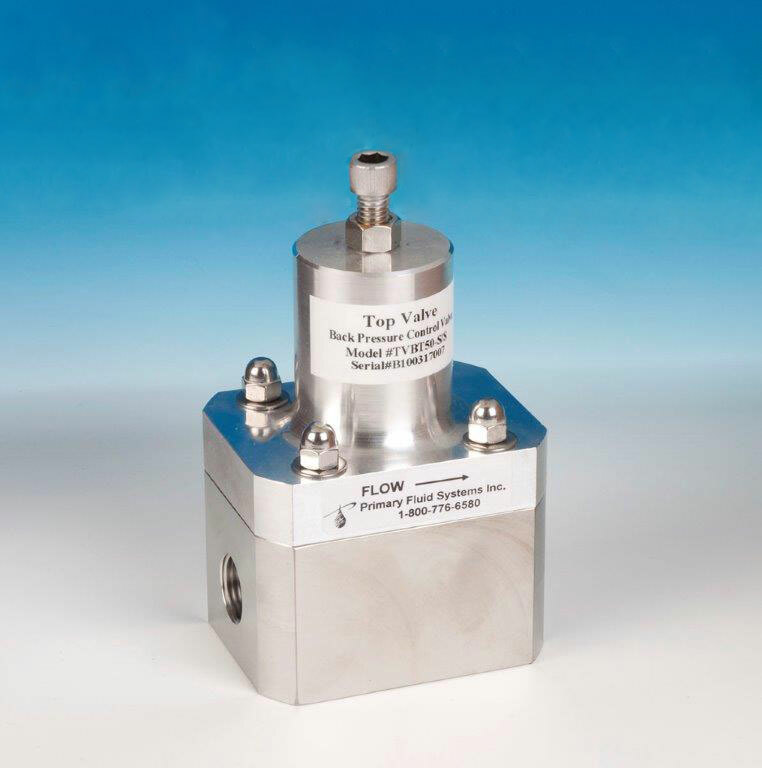 Our Flanged Top Valves in Metal incorporate 150# socket-welded flanges on fully metal or metal body-only valves. 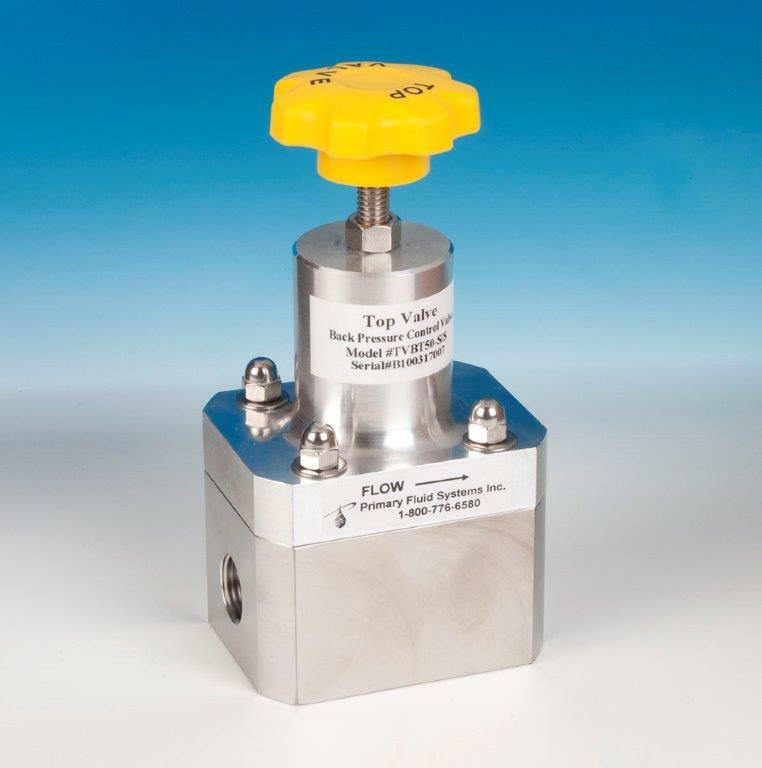 These flanged valves are also available in our High Temperature and High Pressure series. 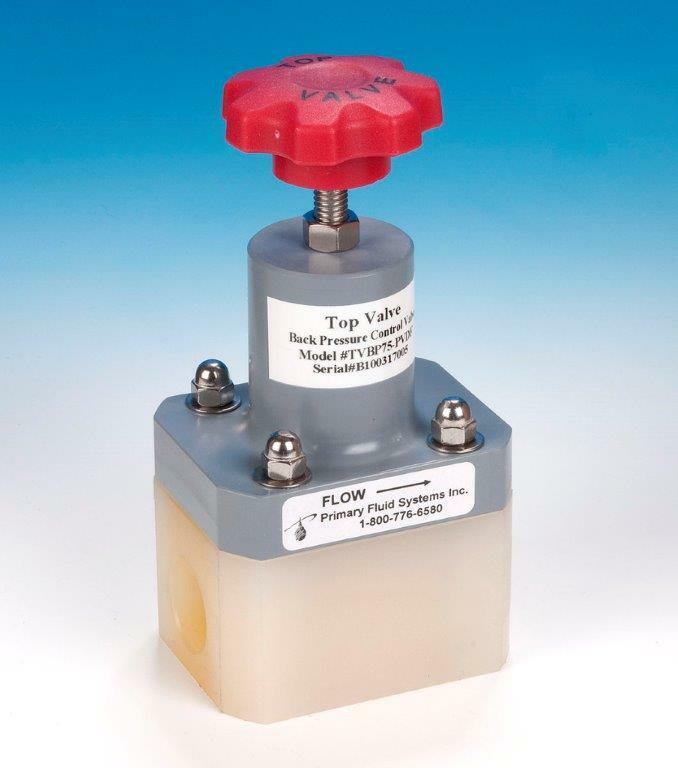 Our Mid-Range valve line offers higher pressure rated thermoplastic valves in PVC, CPVC Corzan, and PVDF. They are rated to 232 PSIG / 16 BAR. Standard body materials available are 316L stainless steel, Alloy 20, or Hastelloy C. Other metallic bodies are available upon request. Three styles available: BH Back Pressure 2-port design, PH Pressure Relief 3-port in-line design, or P2H Pressure Relief off-line design. Standard body materials available are 316L stainless steel, Alloy 20, or Hastelloy C, all rated to the maximum temperature. Other metallic bodies available upon request. Available in 2 sizes, ranging from 1/4" to 1/2" NPT or BSPT. This series features a 316 Stainless Steel body, with a standard CPVC Corzan molded top. 316 Stainless Steel and Aluminum tops available upon request. Two styles available: BU Back Pressure 2-port design, and P2U Pressure Relief off-line design. Readily in stock stainless steel union style connections.